What a blessed day for the Catholic Church and the World …. I was alive when Pope John XXII was holy pontiff (altho too young to remember) and Pope John Paul the Great’s pontificate informed my high school (he came in when I started my senior year), college and adult life! My dh, four younger kids (including the new saint’s namesake) and I were all blessed by this lovely man in 2003. I am feeling VERY blessed today … which is also the Feast of Divine Mercy: how wonderful is that? 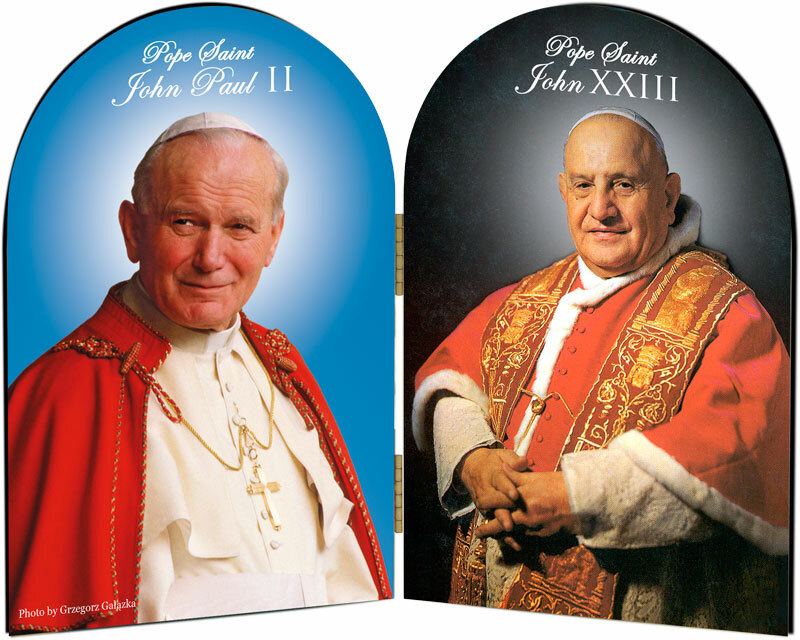 Saint Pope John Paul the Great and Saint John XXIII please pray for us ….